This is a place for me to share. Anything from random thoughts to artistic process. I’m looking forward to evolving a ‘web-home’ that is as energizing for you as it is for me. I want to create an atmosphere that allows for growing and creative interchange to take place, so please feel free to leave comments, suggestions, questions on any of my posts. I read and respond to all of them! Just to let you know a little about me: I am an explorer, forever learner, and in love with the wonders of nature. After teaching for 30 years, and watching our three children start families of their own, my husband, Alex and I live in Efland, NC, and enjoy exploring the countryside with our two springers, Lacy and Francklin. I also am absorbed with discovering and creating from mysteries of the land, especially down in the meadow at The Hillock, the setting of one of my children’s books in process. 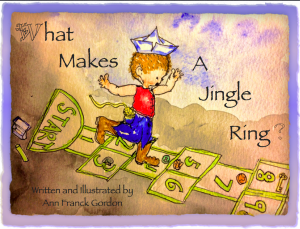 I also have my first Children’s Book for sale here! 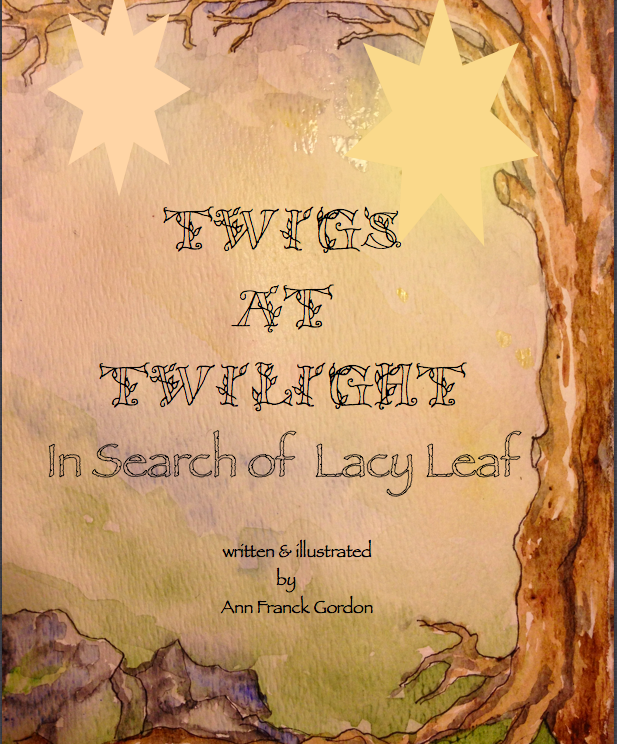 I have recently finished my second picture book, Twigs at Twilight Searching for Lacey Leaf, and it is currently being revised for print. Here’s a ‘sneak peak’! How good it is to get your nightly creations again. And how much fun it was to do the Durham tour with you. Love. Great time with Mimi and Pop! and you and everyone! Thanks! Mossy Hillock Spruce Up! Slug Will Return! Ann Gordon on What Makes the Words Come? I am glad for you to enjoy my original writings, paintings and photography here on my blog. 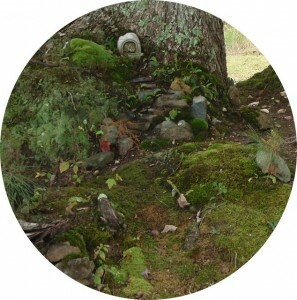 Please note, however, that the content of mosswhispers.com may not be copied or otherwise reproduced without the express written permission of Ann Gordon. All rights reserved, © Ann Gordon 2013. 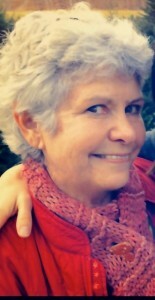 Excerpts and links may be used, provided that full and clear credit is given to Ann Gordon and mosswhispers.com with appropriate and specific direction to the original content. © 2013 Ann Gordon. All Rights Reserved.